I am really loving all the spring colors, especially Lavender as I am sure all of you have noticed! I love the J.Crew toothpick jeans, I have them in so many fun colors. I never really loved the matchstick jeans until they came out with the cropped version! These fit me so good and they have them in so many colors and patterns. Two of my other favorite things right now are lace and peplums! So I was so excited when I found this top for super cheap at Target! Peplums are so flattering and look good on nearly everyone! 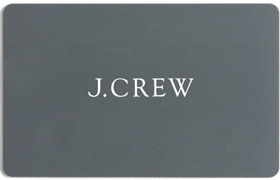 Today I am giving away a $50 J.Crew gift card to one lucky winner! I am sure I am not the only one who has an obsession with J.Crew! They have so many things right now that I want for Spring! So here is how to enter. The more steps you do the better chance you have. Leave a comment for each step you complete. Giveaway ends Friday April 5th. Good Luck! Love this outfit! I have a huge obsession for anything lavender coloured! WOULD LOVE TO WIN! :) Love your style and JCREW! Absolutely love your style and read your blog everyday! Following A Spoonful of Style on bloglovin! Following Jade Scott on Pinterest! Already following you on Instagram, b/c of your style! So happy you started this blog too. Love your peplum top with the lavender, awesome color combo! have always loved all of your instagram posts! so glad to have found your blog :) great giveaway and I have followed all the mandatory requirements :) GFC, Bloglovin and Pinterest! Thanks for the giveaway! Your blog is fabulous! Following you on GFC, Bloglovin, Pinterest, Instagram and Twitter. Thanks so much for the giveaway! I just love the new spring colors too! I have to have those lavender pants! I love this pretty lavender outfit Jade. You look gorgeous! I follow you on GFC, Pinterest and Bloglovin'. Be sure to check out my eShakti giveaway! I LOVE following you on Instagram! I follow on GFC as Amanda Parks. I follow via Bloglovin as Amanda Parks. I follow on Pinterest as /sequinedspaniel. I follow on Instagram as /thesequinedspaniel. I follow on Twitter as @SequinedSpaniel. And I followed you on Twitter! Yay all 5!! Hi Jade-AWESOME GIVEAWAY!! THANK YOU :) FOR CHANCE. This outfit is adorable! I love the lavender! It's funny that peplums seem to look amazing on everyone but me! Haha, my body just doesn't seem to be meant for them, they never hit me in the right place at my waist before flaring out! So awkward! Thanks for the amazing giveaway! I follow you via GFC, Bloglovin' & Pinterest! I also already follow you on instagram! I follow you on Instagram & Twitter (whitney(underscore)eryn). I follow you on Pinterest (Whitney Langdon). I follow you on BlogLovin' (Whitney Langdon) and via GFC (whitney(dot)eryn(dot)langdon(at)gmail(dot)com). I've done all 5 ways to enter! Really hope I win - I love your posts AND I love J.Crew! I followed A Spoonful of Style (whitneyfinn @ gmail dot com), I followed on Bloglovin & Pinterest as well. I already follow you on instagram - @whitneyspinelli. I'm following you on all of the above! I've been a loyal Instagram blog and Pinterest follower of yours! You are my Instagram favorite fashion icon! Just entered the giveaway, thank you!! Love this peplum on you! I'm a sucker for peplums!! Love this peplum lace. I need to check this out at target. I follow you on GFC. i follow you on interest! SO ecstatic about this giveaway! I've been drooling over J.Crew's spring stuff! Eeeekkkk this is absolutely fabulous! I absolutely adore your darling blog! Follow you via GFC! Follow you on Pinterest! Such fabulous style! Love this giveaway! Would make my year!!! Also following on Instagram of course (@lindsayrutland). Thanks for the giveaway!! Pretty sure I follow (or stalk..) you on every social media site possible now! haha :) love the lavender toothpicks! Precious! I follow you on instagram and pinterest. Love your style! I can't believe that peplum top is from Target...great find! I followed all 5 steps to enter the giveaway. I follow you on GFC, Bloglovin, and Pinterest! Love Jcrew and your style! I love your blog!! It's my favorite blog out there. I follow your blog on GFC, Bloglovin, and pinterest! I also follow on instagram!! Thanks! 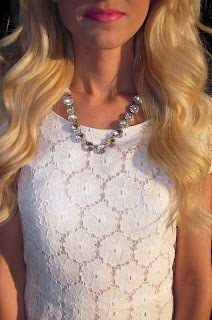 Love this top and what a great giveaway! I follow Spoonful Of Style via GFC, Bloglovin, and Pinterest. I also follow you on Instagram, which is how I originally found your blog! Love love LOVE you and your amazing style! I follow your blog, and on BlogLovin and Pinterest! I follow you on Instagram! I love your adorable style! Following via GFC! Would love to win this! I follow on Bloglovin- love your site! I love the lavender jeans!! I might have to order a pair :) Great look!! Lastly, I follow on twitter!